1.Place the cap nut slightly screw in the back of the C2 charger, take the ball end of the air vent clamp into the back of the C2 charger, screw the cap nut not too tight. 2.Clamp the charger to a suitable air vent grid, adjust to an optimal angle, screw tight. 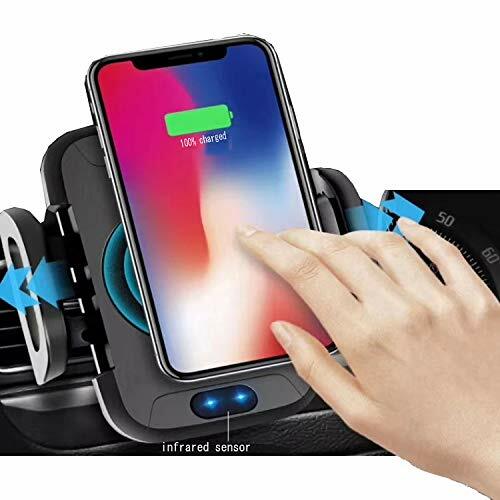 3.Connect USB cable to car USB adaptor output, to get a power supply 4.Move your cell phone to approach the charger holder, which will automatic open by infrared sensing, place the cell phone, the holder automatically clamp. Charge begins. 5.Red light is always on during charging, green light to indicate full power. 6.Thumb touch a button at left side of the charger, the holder automatically open, take out of your phone.